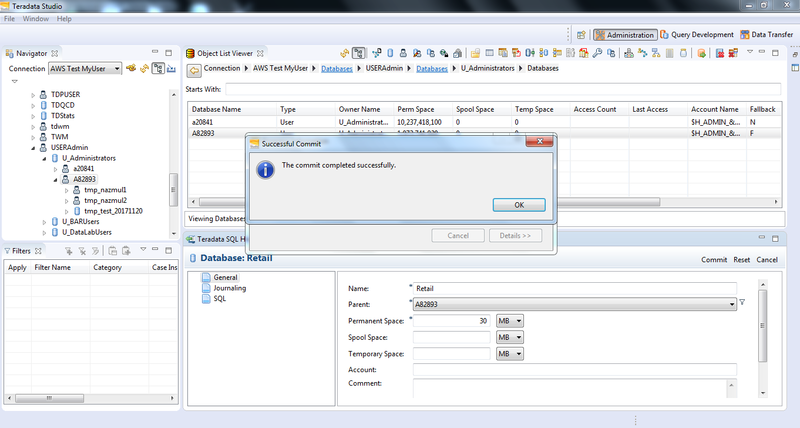 • Parent Database Name — Select the parent database in which the new database is created. 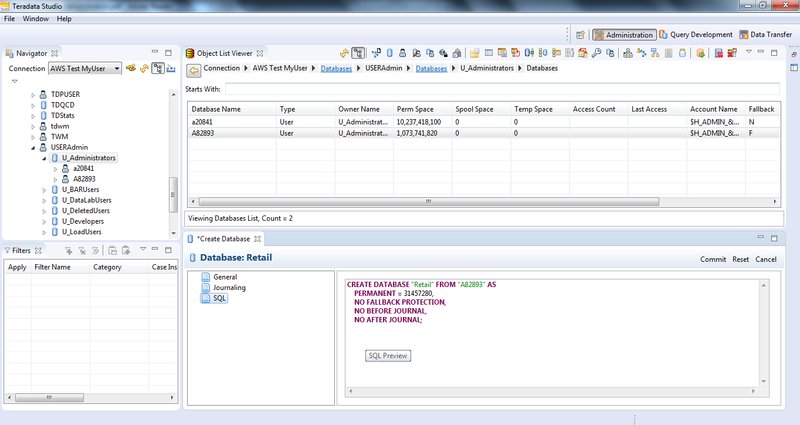 • New Database Name — Type the name of the new database. 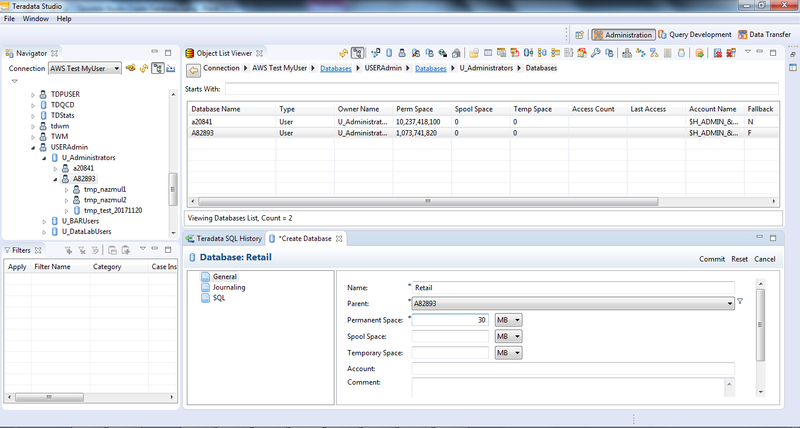 • Definition tab — Enter information that describes the new database. 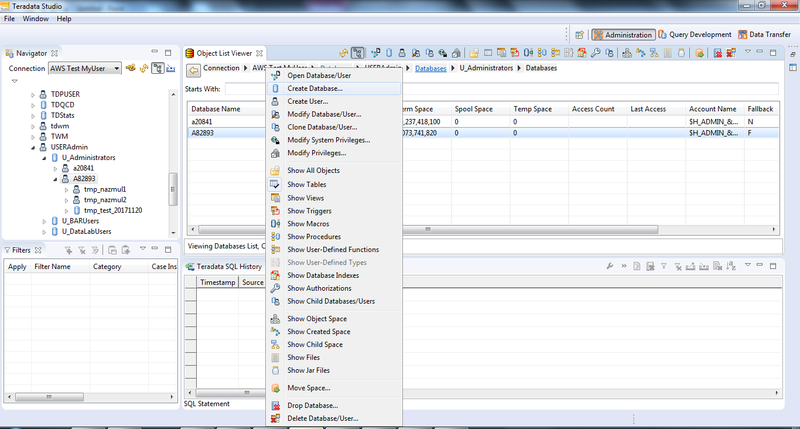 • SQL Preview tab — View the generated SQL DDL statement for the new database and execute the SQL to create it. You can also choose to save the SQL to a file. • Commit button — Click Commit button to create a new database.